Volunteers wanted for St. Nicholas Church, Ingrave Churchyard upkeep – call Rev Paul on 01277 812452. 2019 ELECTION for Herongate & Ingrave Parish Council was uncontested. Please see statutory documents page for the Notice of Uncontested Election and statement of persons nominated. POST OFFICE CLOSURE – the Post Office has now closed permanently. The shop continues to operate as usual. South Essex Golf Course – development planning application for 30 homes.DATE FOR PUBLIC INQUIRY IS SET AT 12TH FEBRUARY 2019, 10am, in the Chamber at Thurrock Council, Civic Offices, New Road, Grays, Essex RM17 6SL and is due to last for 4 days. Community Agents Essex – an innovative new partnership supporting older people and their informal carers. For more information see Services. 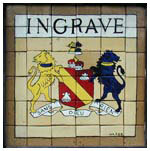 Ingrave and Herongate have changed more since 1945 than in their previous history. The villages’ population has grown, as more houses have been built, and occupations have changed as many people now work outside the villages, in a greater variety of jobs. These notes will therefore concentrate on the period before 1939, so as to gain a wider perspective on the villages’ history. Down to 1939, the emphasis was very much on farming and local employment. The history of Ingrave goes back to Anglo-Saxon times, as indicated by the ‘ing’ element in the place-name; Ingrave was part of the Gegingas district south-west of Chelmsford, and other villages in this group include Margaretting and Mountnessing. The ‘rave’ element in Ingrave derives from the Domesday tenant, Ralph, son of Turold of Rochester; Turold is depicted on the Bayeux tapestry. 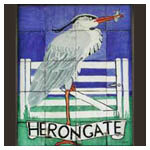 Herongate was part of the parish of East Horndon; the tradition that the name derived from a heronry there is apocryphal, and it probably derives from the Heron family who held Heron Hall into the fourteenth century. The Anglo-Saxon and medieval settlements were devoted to arable and livestock farming. There were three manors at Ingrave according to the Domesday Survey of 1086, one of which was held by Ralph. Altogether, there were 33 peasants in 1086, who were probably heads of households, suggesting a population of about 150 people. Throughout the Middle Ages, and Tudor and Stuart times, most of these people would have worked on the land, many of them on the major estates. The Heron family held Heron Hall until it was taken over by the Tyrells, as a result of marriage, and the Tyrell family were leading members of local society down to the seventeenth century. Heron Hall was pulled down about 1790. Old Thorndon Hall was built about 1412 by Lewis John, a London vintner, and subsequently altered by the FitzLewis and Petre families, Sir John Petre acquiring the estate in Elizabethan times; the house was pulled down when the ninth Lord Petre built the present Thorndon Hall on a site 1¼ miles to the north between 1763 and 1770. All these families would have provided employment for local people within their households and on their estates. The Petres were also involved in village affairs. Robert James, eighth Lord Petre, was responsible for building Ingrave church between 1734 and 1736 to replace the churches of Ingrave and West Horndon which were demolished; the new church was said to have been sited at an equal distance from the two former churches. The eighth Lord Petre is best known for his work on the gardens at Thorndon and for his introduction of new plants. In the 1730s, he was also remodelling Old Thorndon Hall, and it is possible that some of the men who worked on the Hall also worked on the church. Certain items were brought from the old churches: the font came from the old Ingrave church, and the brasses from West Horndon. The Petre family were Roman Catholics and did much to foster Roman Catholicism in the nineteenth century. White recorded in 1848 that Ingrave had three schools, one run by the rector of the parish church, and two schools for Roman Catholic children, patronised by Lord and Lady Petre. John Kinder was listed as Roman Catholic schoolmaster in 1863 and Rose Smith as the schoolmistress. White’s Directory of Essex, published in 1848 and 1863, and Kelly’s Directories of the nineteenth and early twentieth centuries provide a fuller picture of the villages. According to the 1841 census, Ingrave had a population of 530 people, and Herongate and East Horndon 529. The population had dropped a little by 1921. In 1848, several of the leading inhabitants were farmers, but there were a number of shopkeepers and it was possible to buy food and meet everyday needs locally. Herongate had three grocers and two bakers, and at Ingrave there were two bakers, one of them John Ablin, and a butcher. Isaiah Steel ran the post office at Ingrave, and there were four shoemakers, two blacksmiths, one saddler and one wheelwright in the two villages. Thomas and Joseph Boardman worked as carpenters, while Ann Boardman was described as a shopkeeper. William Ffitch, victualler, ran the Old Boar’s Head, Eleanor Oliffe, victualler, the Green Man, and Robert Young, beerseller, the Cricketers. The picture in 1863 is similar to that in 1848, but there are a few signs of change. William Such of Herongate ran the post office in addition to his tailoring business, with William Moss working as a postman. Among the Ingrave inhabitants was John Brighton, police officer. A public elementary school was opened in 1870 for the children of both villages, and rebuilt in 1912 for 156 children; Miss Mabel Bittles was the schoolmistress in 1926. By the 1920s and 1930s, changes were certainly taking place. The Boardman brothers were described as builders rather than carpenters, Charles and Ernest Brewster worked as house decorators, and Edwin Edwards as a cycle agent. George Trembling, carrier, still took goods to and from Brentwood daily, but the brothers Nugus were described as motor bus proprietors. The age of motor transport had arrived. I have been aware for very many years of a former stew pond or fishpond by the corner of Pondfield Lane and Hanging Hill Lane. This, because of the embankment both sides of the stream known variously as The River Wid, Thorndon Brook and Running Waters. The material from which the embankment was made was so obviously from soil that was taken from between the stream and the late Bosky Sewell’s cottage. Also the Pond area has obviously been greatly reduced by material dumped on the edge of the new development. The recent name of Pondfield Lane has doubtless come from Pondfield Wood a memory of what was adjacent to it from before 1281. No maps I have seen show this pond, the embankment was obviously breached a long time ago. The Northern end of the embankment was levelled for agriculture about fifty years ago; the southern is still present in Birches Wood. The pond would seem to still be present in about 1638, Morant’s History of Essex, says, ‘Robert Spencer who was 48 years Rector of this Parish and dyed 26th September 1638 gave a house and land of £3 a year, over against the Great Pond on Ing Ralph Common, for the ornaments of the church, it is called Church House and Church Croft’. I have read his will and there is no mention of this gift there, so he gave it while he was still rector. The field which contained the house would undoubtedly be to the north beside the road; later in the C19., with other roadside fields called Parnall Lane Farm, the house was close to the bus stop shelter, it was demolished after the occupant committed suicide in the early C20. Morant also says, ‘Edward 1 in 1281 granted licence to Reginald De Gynges to empark divers land in Ginges Radulfi, within the forest of Essex. In 1314 a fine passed between John son of Reginald De Gynges and Margery his wife, plaintiffs, and John Malgref, deforcient, of the Manor of Gynges Rauf….and in 1317 the said John and Margery passed the premises by fine after their joint lives to Richard Gossalin and Alice his wife which is said to be daughter and heir of John Gynges’. For very many years I could not work out exactly where this enclosed land was until I eventually looked at a long set of volumes of the patent rolls which had all the surviving letters patent, whereby the King and his officials gave written and sealed permission for much of the King’s business. I do not know if Edward 1 or Reginald could read, very likely neither. I found that at Westminster on November 16 1281 ‘Licence after Inquisition Ad Quod Damnum’ by Luke De Thany, justice of the forest this side of Trent, for Reginald De Gynges to empark 20 acres of wood and 10 acres of laund and one acre of garden in Ingrave (Ginge Radulfi) round his court there, not withstanding the fact that the deer repair there by reason of the density of his wood, and licence also for him to include his stew a the end of the said laund’. It still took me quite a while to place this land, the main clue was the surviving curved boundary from Pondfield Lane to the footpath from the pond to Dairy Farm. Most deer parks were circular or oval to enclose the largest possible area within the expensive wooden pale fence. The presence of the pond within the circle fitted perfectly but the nicely curved line of the stream could not be part of this as it would so obviously be under water. The area here which was excavated to build the embankment meant the water and hence the park boundary was close to the road. I feel quite confident in assuming the one acre of garden was attached to the house that was the predecessor of the present cottage, built for a keeper to protect the fish. I assume he was found more land on the other side of his home. I show on the plan the presumed boundary of the park, the trees shown would probably be survivors from the park and Ingrave Common. In the early 1970’s I visited Daisy Whitby, cousin twice removed, who owned and lived in one of the pair of white weather boarded cottages below the cricket green. She was very old and remembered my great, great, grandfather who died in 1895 at Rose Cottage above Childerditch Pond. She told me how annoyed the family were when the then Lord Petre (or his agent) evicted a Whitby from Dairy Farm in the Mid C19. I now realise that one Benjamin Whitby in the 1790’s started to bring into cultivation part of the common and undoubtedly the park, this is shown in large measure by straight boundaries, it would have been a later Benjamin who was evicted, understandably they felt aggrieved because they had in large measure created the agricultural land. Obviously I was interested in the De Gynges; Reginald was so obviously a person of wealth and probably power and influence, who, if he did not live locally at Ingrave Hall, was by his name strongly locally connected. I find he was elected Sheriff of both Essex and Hertfordshire by letter patent sealed at Westminster on November 8 1279. Morant, in his history, says he was Sheriff of Essex for six years. During this time he often appears in the patent rolls and documents at the national archive, most of which I safely assume are in relation to the sheriffs office. I have no further reference of the family after 1315. Reginald was the son of Sir Ralf De Gynges who by his surname was at least closely connected locally. His earliest date I find is 1258 when he has 189 acres of land at Great Bursted with a house, which it seems to me he was transferring to his son, Reginald, presumably before he died. In June the Police carried out a speed survey on the 30 and 40mph sections of road, going into and through Herongate Tye. The results have been collated and can be seen below. PHOTOGRAPHS...of Herongate & Ingrave for our website. Recording events as they happen in the villages and surrounding areas for us all to share. Read more.